Take a trip to heaven, Nintendo style! Simple and intuitive controls bring you closer than ever to the music - it's as simple as tapping your finger and yet challenging enough to keep you on your toes. Music games continue to be extremely popular, and Rhythm Heaven delivers a new way to play. The fun pop musical beats combine with the quirky graphics for an experience that anyone can enjoy. 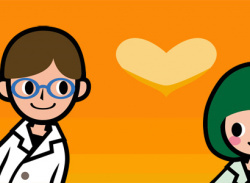 Rhythm Heaven has more than 50 rhythm-based music games featuring a catchy soundtrack composed by legendary Japanese pop-music producer TSUNKU. 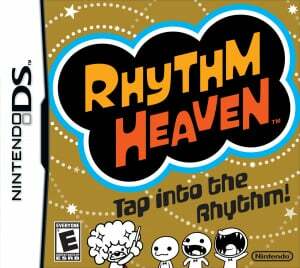 Game description: Rhythm Heaven features original music in dozens of rhythm-based minigames. The music, created by legendary Japanese pop-star producer TSUNKU, is addictive and catchy. Even though the controls are simple to grasp, each minigame challenges the player's grasp of rhythm by throwing in interesting beats and off-beats. The game is controlled entirely by the stylus: Tap to shake your hips in one game or flick the stylus on the touch screen to swing a paddle in another. It's all about tapping, flicking, sliding and holding. This simple set of gestures combines with the rhythm of each game for a unique musical experience. It's easy to figure out what to do, and then the game play becomes addictive. 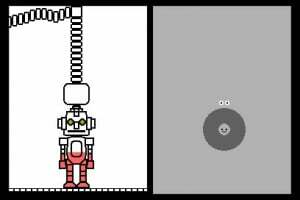 Rhythm Heaven is easy enough for new players to pick up and play for a few minutes at a time, yet veteran gamers will want to unlock and master every game. YUSS! One of the best games ever. Kittsy? could you give some more info on this game? It seems very fun and creative.I am going to go out next week and buy this new game. I JUST played the demo on the Nintendo channel...i think I'll buy it! This game is fun and inventive right from the start! Rhythm heaven does a marvelous job of drawing you in the first time you select your profile. The game boasts a whopping 40 unique stages with 10 remix stages, and another 24 unlock-able toys/extra modes to keep the fun coming. Each of these are longer than a Wario-Ware micro-game (around 3 min each), and more challenging than a Mario Party mini-game. 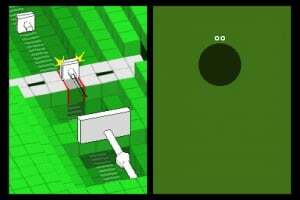 Due to the games higher difficulty level, younger players will find this immensely frustrating. However, those patient enough to let the game unravel its many marvels are in for a real treat! As far as replay value, this game is loaded with the stuff. Earning a "Superb" on any of the 50 levels warrants a medal which goes towards unlocking another of the the aforementioned unlock-ables. Still further honing your rhythm skills to get a "Perfect", rewards you with one of the corresponding tracks/fun-facts. With over 80 unlock-able tracks and 32 amusing fun-facts for good measure, Rhythm Heaven is clearly one of the best titles to hit the DS! 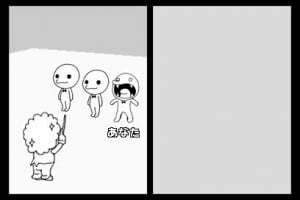 Overall, I highly recommend Rhythm Heaven. Its fun, addictive, light-hearted, and altogether very engaging. A tough grading system and myriad of extras to collect will keep this cartridge in your system for months, and the game's catchy tunes will stay in your head even longer! I got this game for £2 at CeX. ...I got it on a whim and it's pretty dang spectacular. News Hey, You Got Your Rhythm Heaven In My iTunes!